Hello guys, today I will show you the basic Introduction to PIC16F877a. 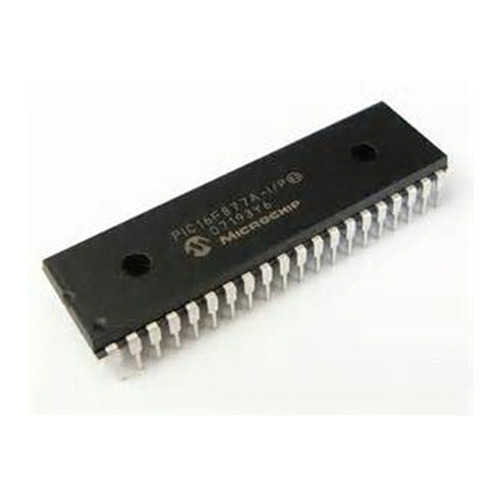 PIC16F877a is a PIC Microcontroller and is normally used in Embedded Projects like Home Automation System, Bank Security System etc. IT has 5 Ports in total. ( PortA, PortB, PortC, PortD and PortE). It supports Serial Communication for which it has 2 Pins TX and RX. You can receive data from RX and can transmit data from TX. It also supports SPI Protocol. We have to place a crystal oscillator ranging from 4MHz to 40MHz. We have to design its basic circuit first in order to use it. Moreover, we will also need some programmer or burner to upload hex file. I use PICKit3 in my projects. PortA has 8 Pins in total and it is an analogue Port. All Pins in PortA are analogue. PortB also has 8 Pins but these all are digital Pins. PortC is also a digital Port having 8 Pins. PortC Pins are also used for Serial Communication. PortD has 8 Pins and all are digital Pins. I hope you have enjoyed today's tutorial. Let me know if you have any difficulty with this microcontroller. Thanks. What will engineers get from using Flowcode 7? As part of an impressive increase in their combined Infineon and International Rectifier stocked range the XMC4300 range with it’s lower cost base enables Ethercat® to go where it has never gone before. Flowcode 7 is launched this summer and will be available to download free of charge form DesignSpark. This summer, Flowcode 7 launches and you can get Flowcode free from DesignSpark.